The aim of the game is really decided by you. You can plan to fill the encyclopedia (unlock all animals and hotel guests), or just earn as much cash as possible. Get cages of the highest level animal and keep harvesting! There is no prime animal that earns more than others, but the value of the harvest increases with the animal's level. As such, the animal you got first will most likely be the one that you should go forth and multiply. For the first few moments of playing (before the money rolls in quickly), a good way to earn cash is to use your finger and swipe through the grass. This enables you to get occasional coins which goes a long way in helping you get enough to purchase stuff. People think that getting animals should be the priority, but really, "You don't build a business, you build people and then people build the business." Same logic. You get a staff that you can hire and upgrade him/her to level 3. 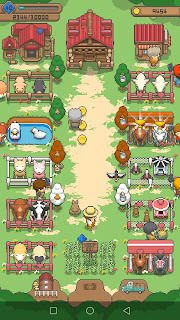 Level 1 staff can cut grass, level 2 staff collect money and diamonds (EXP), level 3 collect animal harvest, and level 4 collect juice from trees. Get a staff and upgrade him/her to level 2 so that someone can help you to get coins. While doing so, continue cutting grass for coins. It wouldn't take too long for you to have your first cage. Get any cage - it doesn't make any difference which you choose. 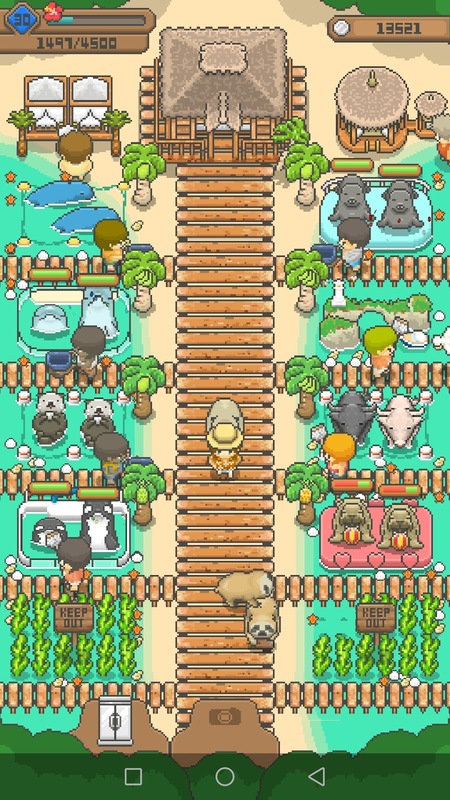 There are some cages with animals that perform/compete instead of having harvest. These cages are good in the later land unlocks, as they give you money immediately and they don't cram the store with products. Water bodies give products. Design of cages don't matter. A cage unlocked at level 30 VS one at level 0 has no implication on cost of products. So that your staff can harvest goods or send the animal for a performance/competition. 5. Do the same for 2 more exhibitions. You will hopefully have 3 exhibitions and 3 staff at level 3. You need to upgrade the silo/fridge so that the respawn rate is equal or more than the rate of feeding the animals. 3 exhibits is a good upgrade. 7. Upgrade the hotel to 1 star. Hotel guests walk around the area and drop coins. It's good to meet a variety of hotel guests for the encyclopedia's sake. 8. Get trees and juices. More money in the same space, why not? 9. Upgrade your staff to level 4. 10. Get cages and staff. Do it until you have 5 cages, then upgrade your silo/fridge. The general flow is the same. By then you should be level 20 and will unlock the island. 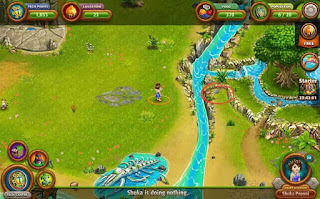 The island takes a bit more time to farm money and there is no truck mini game, but the graphics are cute and more animals perform rather than have products, so there is not much of a need to upgrade the store until about 4-5 land is unlocked. The game goes on and on, and I applaud you if you are able to unlock and upgrade everything, and finish the encyclopedia cos you will need a lot of patience and time for it.